Each year that goes by in the SEO community, discussions of the authority behind a site become increasingly prevalent. This has been especially true over the last year, as Google has made more updates to the core algorithm, which seems to indicate an increased focus on authority and relevance. While authority is definitely earning greater consideration in the broader conversation of SEO, it’s been a particularly critical factor to local SEO for years. Stepping back to look at the broader local SEO picture, it just makes sense that authority would be a major factor. A user looking for a local service is most likely going to choose an authoritative brand that has a solid reputation. Trust is essential for any business to lead customers further down the buyer’s journey. So, how does a local business build authority in their community and within their niche? The reason for this is simple. Quality trumps quantity every time. Content only hits the “king/queen” status when it actually delivers value. Users expect to have their questions answered when performing a search and clicking through to a site. And Google certainly isn’t going to rank a site just because it contains a lot of fluff. Creating content for the sake of creating content doesn’t help anyone. When creating content for a local business, one of the best approaches is to determine what’s unique about your site’s vertical in your area. If you can identify those sorts of opportunities, you’ll be able to provide content on your site that will be useful to your target demographic, which can lead to more qualified potential buyers reading your content. For example, if you’re writing content for a foundation repair company in central Texas, writing about how to properly waterproof a basement to avoid foundation damage wouldn’t make sense. Why? Because homes in Texas almost never have a basement. Instead, looking for opportunities to write about ways homeowners can protect their foundations from needing repair due to common soil types would be more productive. This type of content will help customers solve a major (and highly relevant) problem while creating awareness to your brand, should they ever need repairs down the road. The key is to be relevant and genuinely helpful. For some local businesses, like real estate agencies, creating content that helps speak to the area they are serving is a great way to help build authority for the business’ website. When people visit these types of sites, it can be incredibly helpful to have more location-specific information. That’s not a strategy that all local businesses should try to implement on their site, though. I know I’m not really looking on my local plumber’s website for dog-friendly restaurant ideas when I’m planning my weekend. When creating local resource content, it is important to keep intent and relevance in mind, so the content doesn’t become just pointless filler on your site. There is a lot more to links than just “domain authority.” When I say that, I don’t mean that people should stop looking at domain authority. I’m simply reiterating that it’s not the only metric of quality for links. That’s especially true regarding links for a local site. Over the years, I’ve had many conversations with Greg Gifford regarding how we both approach local links, but I think he said it best during his presentation at Pubcon Florida 2019. In his presentation, Gifford made a point to say that when prospecting links for a local site you almost have to take a guerrilla marketing approach. As that’s been a part of my approach for several years, it really resonated with me. I’ve always been a believer in looking at the relevance of a site and the value it is going to have for a customer when looking for links for my local SEO clients. For example, while getting a link from a high DA site, think of the power getting something from a local association or sponsorship opportunity would have for the site you’re working with. Let’s say you were able to get a link for your orthodontic practice by sponsoring a local little league team. Not only would that link carry local relevance power back to your site but you also get the benefit of putting your business in front of more qualified customers. This is because a lot of sponsorships like this also have inclusion in additional marketing materials as a perk of the sponsorship. In my experience in the local SEO field over the last five years, these types of links move the needle far more for local businesses, especially when paired with citation building. It’s like getting the best of both marketing worlds through your link building efforts. So spread your traditional marketing wings and get as much impact from your efforts as possible. Over the last few years, quality customer reviews have become more important to the success of a local business in search results. When a customer leaves a public-facing review of a business, Google can get a better understanding of what customers think of your products or services. This helps your brand build more authority, which can lead to better performance in the SERPs. And never underestimate the value such reviews offer to prospective customers. If you began reading this section and immediately started trying to figure out the best way to game the system by getting fake reviews, you’re going down the wrong path. Fake reviews are a great way to get your Google My Business listing flagged, which is a real pain to recover from. Google wants to see a wide range of reviews for a business and the only way to do this is by gaining real reviews from real customers. Plus, this will give you several opportunities to build authority in front of potential future customers. While we’d all love to have five-star reviews of our businesses, it’s just not going to work that way most of the time. Customers are going to get upset at some point and leave a negative review. It’s what you do with this review that’s key. Take the time to respond to the customer and try to make their experience better. This response can also show future customers that you care about improving your business and might even help positively influence their purchase decision for your business. Also, make sure you’re following the guidelines for the sites you are trying to focus on. If you’re going to put in the effort to drive more reviews to your business make sure that these reviews are going to last and not be flagged for breaking guidelines. 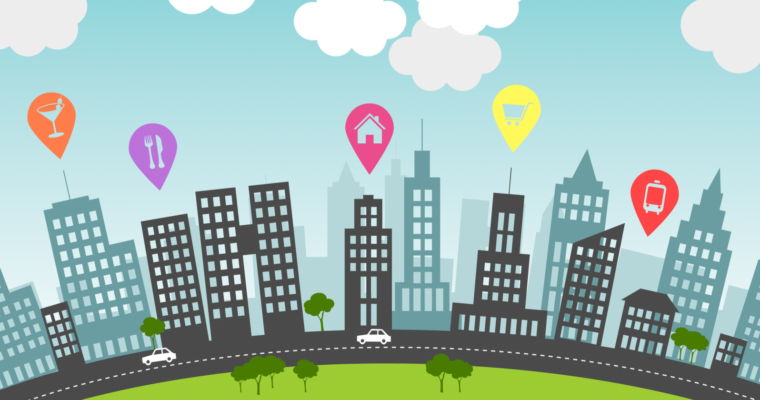 Authority is key when it comes to local SEO and can really help a business perform well in search results. By investing in building a local site’s authority, you’re creating a positive ripple effect that can have a huge impact on the overall campaign. Keep authority foremost in your mind with all your on-page and off-page efforts and I’m confident you’ll see positive results. It may take some time, but it will mean lasting results, which is what you want, in the long run. Is Conversion Lift the Future of Attribution?